Several years ago I was a huge fan of a show of called “Semi Homemade.” It was the perfect show for a beginner in the kitchen like me, inspiring me to create and recreate so many different recipes. 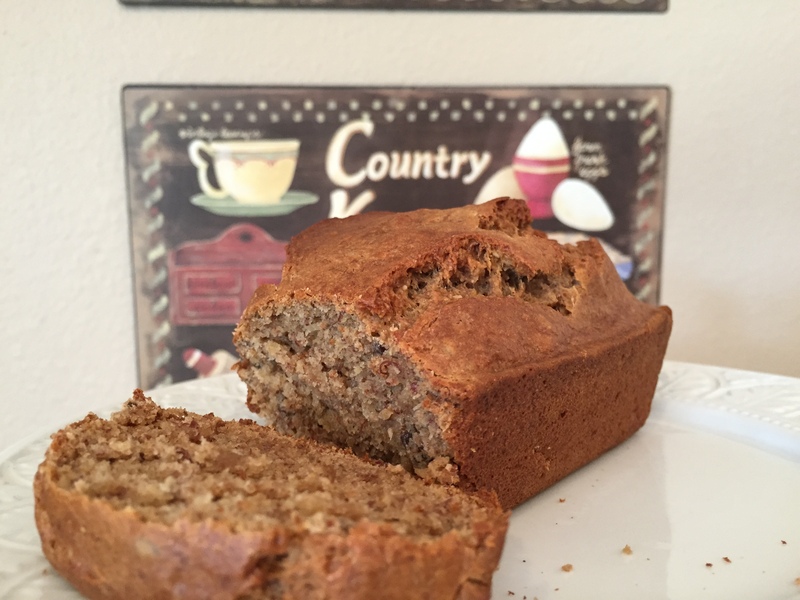 The idea that you can take some short cuts while making certain dishes and baked goods and the results are still homemade proved fantastic for me. It made many complex recipes achievable! Most of us struggle with having enough time to complete all our daily tasks; on top of that, having to cook long and challenging recipes so that we can have home- cooked meals, explains why so many turn to fast food. Granola bars have been a staple in my house for quite a while. 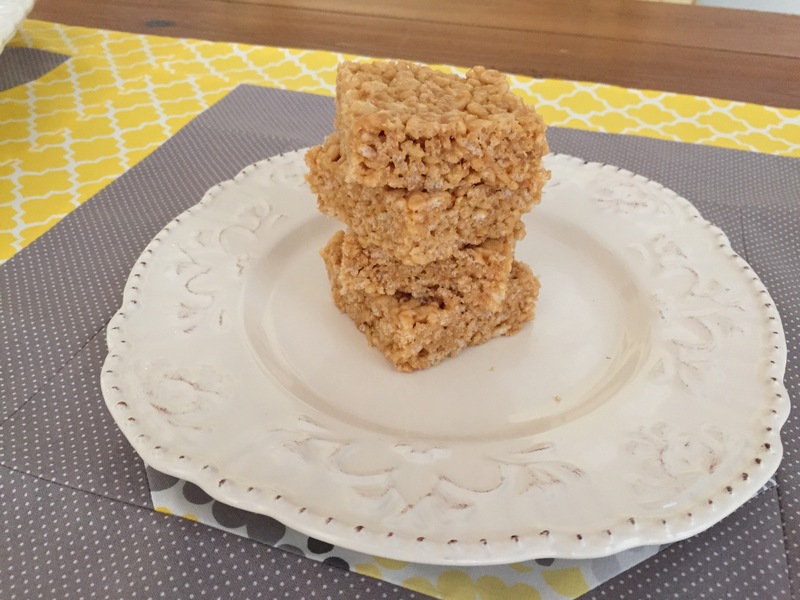 Before, the kids, my husband, and I relied on the more processed and protein- rich bars to get us through long afternoons at work, or we reached for them for a quick snack after a workout snack on the ride home before we started cooking dinner. Now with kids around, our granola bars are a bit less protein- loaded and have some extra nutrients, so the kids can enjoy them, too. We have also become very “picky” when choosing the right bars. They must have no artificial colors or flavors but must contain some fiber and protein, that is, wholesome ingredients. And of course, they should, of course taste good! This results in paying a bit more for snacks and straining my budget. . Inspired by my go-to method of cooking: semi homemade style, my weekend project was to create a granola bar that I could easily put together and have enough variations so each member of the family could have their favorites in the rotation. I called this blog “Taking Control” because when we purchase a packaged granola, we leave much of the decision making about ingredients up to the manufacturer. 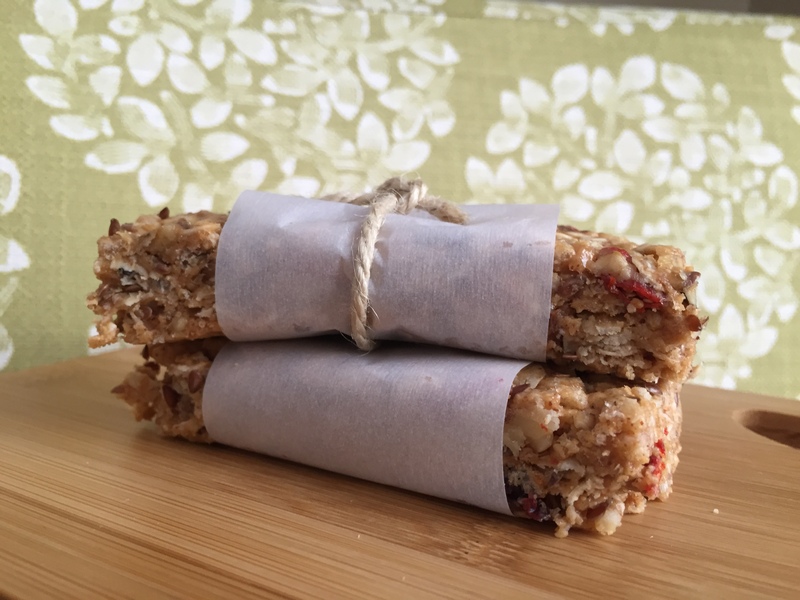 When I make granola bars at home, I have free reign over what to include and how to sweeten my snacks. I can use superior quality ingredients like Once Again nut butters, from a brand I trust. 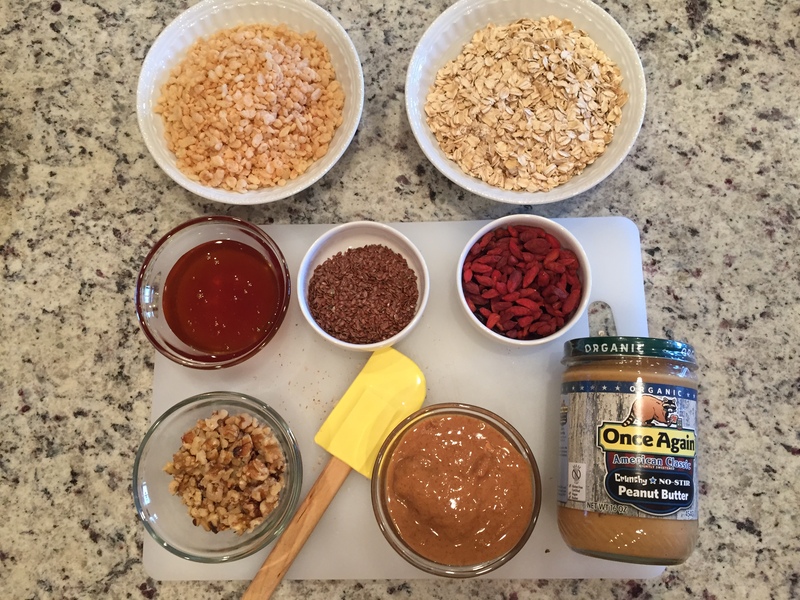 It then takes just minutes to mix it all up and make my very own homemade granola bars! Here are a few tips to create yours! It’s so much easier than you may think. Use Once Again nut butter whichever kind you prefer; I recommend variations of almond, cashew, peanut, and sunflower, each time you make them) to hold all your ingredients together. Honey or maple syrup will also help your ingredients stick together while adding sweetness. Use oats, flakes, cereals and puffed rice or quinoa as your bulking ingredient; they add fiber and crunch. Nuts, seeds, and dried fruits are the ingredients to have fun with and personalize the bars to taste. In the recipe below, I used a ratio of ¾ cup of Once Again nut butter to ½ cup of honey, which makes a batch about 12 bars similar in overall size to most boxed granola bars sold in stores. Keep the same ratios in the recipe below, but alternate the ingredients you use. This recipe requires no baking at all! After just 10-15 minutes in the refrigerator, the bars will set and be ready to eat. Keep your leftovers in an airtight container and consume them within 3-5 days. I like to put each bar in a small plastic bag with a seal, so they can go into lunchboxes easily. Enjoy making your own and share your results with us! Over low heat, mix together Once Again Peanut Butter and honey, and in separate bowl, blend all other ingredients. Then pour the honey and peanut butter mixture over the dry mix. Mix well until all ingredients are coated. Pour into a baking pan lined with waxed or parchment paper. Spread with the back of a spatula, pressing down lightly on the mixture. Let it set and cool for 10-15 minutes. . Then cut the set mixture into bars or squares. Refrigerate leftovers to preserve freshness. They can, however, be transported in lunchboxes and are safe at room temperature. Watch the video below to see just how easy it is to make them!